Mobile vs PC: Which is Best for Casino Games? 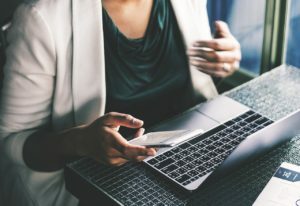 When it comes to accessing our favorite aspects of the digital world, the revolution of both PC and mobile allows us to never be more than a click or finger swipe away from the engagement we need. Increasingly, as technology has advanced, the gulf between benefits on mobile and benefits on the PC has grown and supporters of each medium have extolled the virtues of each mode. Some say the PC is better, some say mobile is. But when it comes to playing casino games, which experience is really the best bet: the mobile one or the PC one? The advent of being able to play casino games on mobile allowed developers to work on fast-action, low-intensity games that could be played in the length of time it took to catch a bus or wait for the microwave to finish. The ability to match the fast-paced nature of the casino tables and make slots like Age of the Gods to create an exciting experience with online casino gives mobile casino gaming a tantalising quality. For instance, mobile gaming is experiencing some of the best software enhancements and cutting-edge technology, which are being rolled out using casino games that operate on the mobile system. 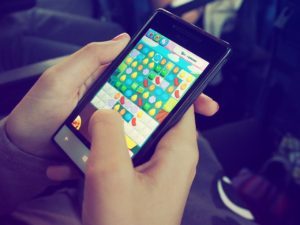 The success of other free-to-play mobile games over recent years has breathed new life into the industry and means that developers are willing to take more risks in the mobile arena. The constant upgrading of hardware from rival brands Apple and Samsung means that the device itself is always being updated, which reflects better for the games being played on the devices. However, mobile is struggling as a gaming platform to ensure that most apps result in in-app purchases, which keeps the industry afloat. Some suggest that rewards for viewing ads (like Duolingo use) could be the way forwards. The PC also has its benefits as a platform for playing online casino games. The PC is good for long campaigns, as many PC games use to their advantage. Longer games of poker or higher stakes are perfect for the PC’s intensive playtime. The PC also makes it easier to engage with live dealer poker, blackjack, and roulette, which utilize the inherent processing capabilities of the PC to offer a truly immersive experience. As PC is such an established mode of gaming, the finances plied into the industry are far greater and can provide a stronger ROI, which means the latest and greatest technology is more likely to be trialled on PC. Moreover, the software that is used on PC – especially the latest Windows edition – is sophisticated and resilient, allowing a safer gaming experience. However, the PC’s market share has seen a steady decline since 2011 – 2017 saw a low of PC shipments that hasn’t been seen since 2006. Overall, both mobile and the PC offer different versions of similar experiences. Comparing the two offers no greater clarity on which might be better – especially depending on which metric you are judging it by. While PC ranks higher with the live dealer and longer-term gaming, it doesn’t come close to mobile on quick play options. Ultimately, both mediums are good and bad, depending on what exactly you are looking for when playing casino games. Thank you dear author for this sharing. I like to play online – PokerStars. As for me for, I think for online poker it is better to use mobile, for online slots – PC.